We prepare great tasting Cajun cuisine made from scratch with the freshest ingredients available, and serve our guests in a quick, friendly, and comfortable environment. Our philosophy has always been to keep a close eye on the quality of our food, while ensuring that our guests are always taken care of — ALWAYS! 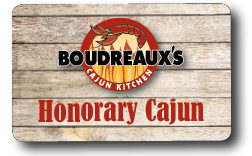 Back in the 20th century, Boudreaux’s began as a local Cajun seafood restaurant in the trendy Galleria area of Houston, Texas. After a very warm welcome by the Houston community during our first few months of operation, we knew we were on to something special. Our expansion throughout the Houston market was slow during the early 2000’s, as our primary focus was taking care of our existing customer base, while maintaining the highest standards in food quality. YOU have always been our most important asset, and we promise to never lose sight of who made us successful. 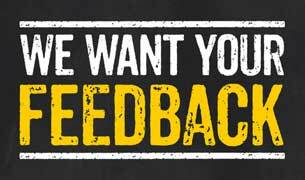 Our chefs are constantly working on ways to improve our product, and our managers are always working on better systems to serve you. Thanks for visiting our website. We hope to see you in our restaurant soon!